I've had a tote bag with treats and samples from the show sitting on the kitchen counter, at least attempting to keep it out of reach. The other day we decided to have a cookout, so I moved the bag to the kitchen table to get some space. try to steal these chicken and sweet potato treats. Everything in the bag is sealed and unopened, but I guess it smelled good anyway. I turned my back for about thirty seconds to go get a fresh kitchen towel. When I returned, our American Eskimo stood on one of the chairs with his front paws up on the table, stretching all he could to reach the bag. Gangster! 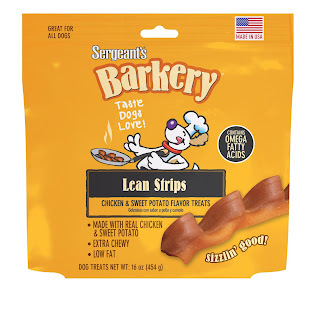 Anyway, one of the treats I got that they really appreciate is Sergeant's Barkery Lean Strips. 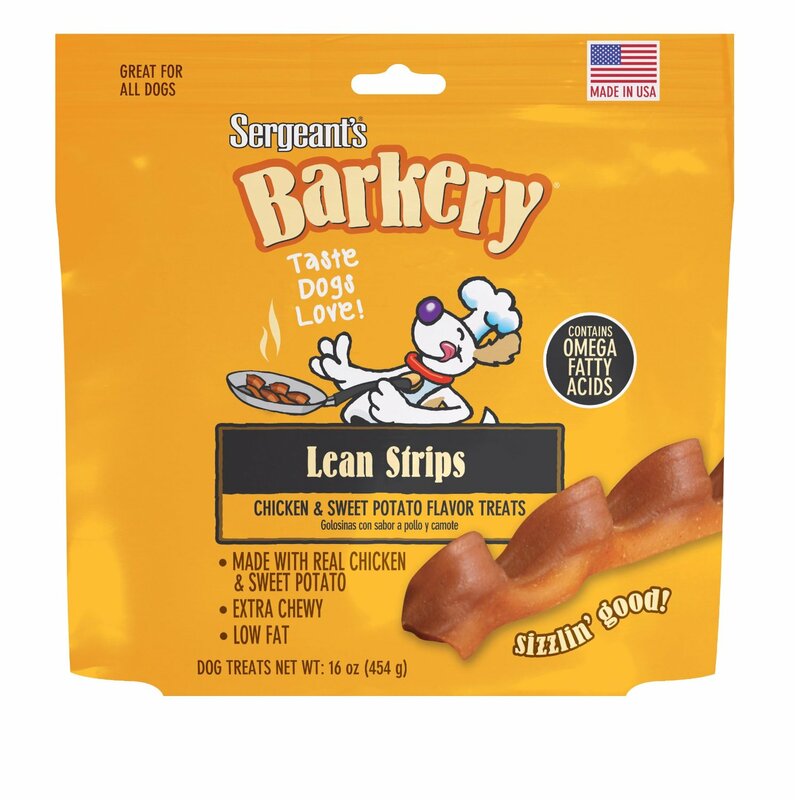 These are chewy treats made from chicken and sweet potato. After all the chicken jerky fiascos during 2012, I'm cautious about chicken, but they ensure me it's made in the USA, and the doggies love them. What's your pet's favorite treat? I'm still excited over all these samples and stuff. It's like Christmas, "Yay, I get stuff for my doggies!" Dogs are funny. They're so resourceful when they want something they shouldn't have, LOL. haha Smart lil babies ya got there! Titan hasn't it done it in over 2 years but one time, I had a plastic container of snickerdoodles on the counter, came home and it was on the floor, opened, and half eaten :/ Boy's gotta sweet tooth! My doggies do too. They're well behaved except for when it comes to stuff to eat. The Border Collies know better, but the Eskie leads the way, and once stuff is on the floor it's free for all, they think, LOL. At my house my cat bro Bert is almost worse than a dog! He would be up on the fridge and eat through the package...he has committed such a crime before!